1/4 x 1 3/4 x 1 3/4 in. 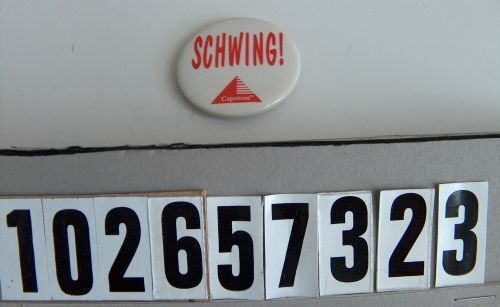 "SCHWING! Capstone" is printed on the button.